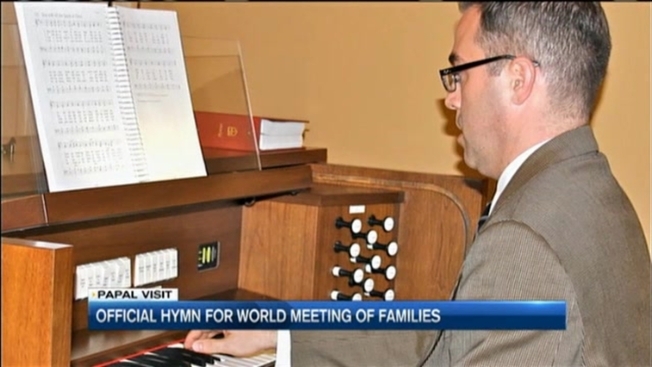 A Massachusetts man has composed the hymn that will be played during three masses celebrated by Pope Francis when he visits the United States later this month. The man behind the music is Normand Gouin- the director of liturgy and music at the College of the Holy Cross in Worcester, Massachusetts. Gouin spent months crafting "Sound the Bell of Holy Freedom." He was one of 20 sacred music composers from across the U.S. that were contacted by the Archdiocese of Philadelphia to craft a hymn and his was ultimately the one that was selected. The New England native has been composing for more than 25 years, but never for a pope. The hymn will be performed when the pontiff celebrates Mass in Philadelphia. Gouin will be in the choir singing, but he's not yet sure if he will get to meet Pope Francis.